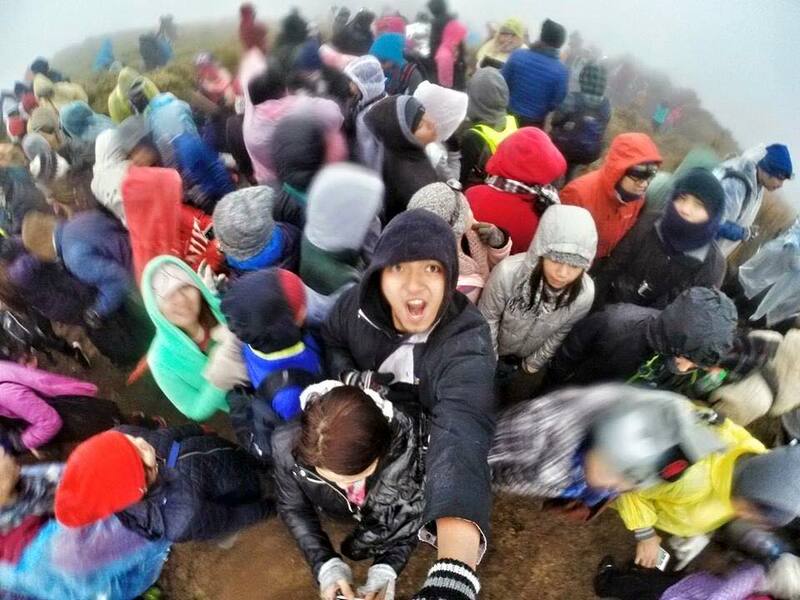 Facebook nowadays is full of selfies taken all over the Philippines: from the summit of Mt. Pulag to the white sand beaches in many parts of our archipelago. With the availability of cheaper plane tickets, better roads, and travel blogs that tell you all you need to know, domestic tourism is growing - and this is welcome news. But as traveling around the country becomes a common pursuit for many Filipinos - and as the summer “peak season” draws near - it is important for us to reflect on our impact on our places we visit. By impact, I mean two distinct but interrelated things: the impact on local communities, and impact on the environment. Both are serious matters that we have to address. Traveling brings us into contact with communities whose shared values and ways of life may be at odds with what we are used to, and this can be the root of distress and conflict. Tracey Santiago of ICOMOS Philippines said it best: “Think also of how the community feels when more than a thousand tourists are disrupting their peaceful daily lives. Put yourself in their shoes. It’s not all about the money that tourists bring in to their community but mostly it’s about having a peaceful sleep, clean water to drink, food for the family, safety of their environment, and clear roads to walk on.” She was admonishing travelers to specifically avoid Sagada during the Holy Week, but her words can be said of many places. Aside from the sheer presence of outsiders, tourism can also have unintended consequences. By fostering the establishment of guides, hostels, souvenir shops and so on, at a pace faster for regulatory measures to catch up, it alters the local economy, making it cash-based, and the society itself becomes commercialized. This, of course, is not bad in itself, but inasmuch as we’d like to think that tourism equates to jobs, we have to be mindful that it can also disrupt people’s lives. Impact on the environment is another cause for grave concern. The United Nations Environment Programme identifies three main impact areas of tourism: Depletion of natural resources, polution, and sewage. All these are salient in the Philippines, given the precariousness of our island ecosystems. The case of Boracay is emblematic. We take pride in its being one of the best beaches in the world, but as the peak season comes and as young people congregate for another “Laboracay”, we are left to ask whether the island can keep supporting the tourism juggernaut. The algal blooms that line the beach is just an ominous sign of deeper problems: Last year the DENR reported that coliform bacteria levels in one of the island's drainage outlets was 47 times more than the safe level. Sitio Pungayan in Tuba, Benguet - now known as “Sitio La Presa” - is another insightful case. Once a quiet farming community at the outskirts of Baguio, its having been the filming location for the soap opera “Forevermore” quickly turned it into a tourist attraction with souvenir stalls and numerous vehicles appearing overnight. Fortunately, the Court of Appeals issued a writ of kalikasan in May 2015, averting an environmental disaster. “La Presa” is a sobering reminder of the impacts media - including social media - can have in the places they feature. In nature spots like mountains and beaches, garbage left by tourists can can leach into the soil, affecting forest ecosystems, or end up in the oceans to affect marine life. Noise pollution can disrupt wildlife, and human waste can contaminate nearby water sources. Too many tourists spoil the view when you cannot even see what you want to see, because of so many people. The solemn procession of the sunrise atop Mt. Pulag can be interrupted by camera flashes - and instead of a quiet contemplation of the glories of a new day, you see other people making all kinds of funny poses. But as I have discussed in this piece, tourists can also spoil the view by actually damaging the view itself, that is, by causing harm to the environment. Finally, ‘view’ can also mean the pananaw or perspectives of the locals about the people who visit them: they can end being resentful of tourists, and by extension, the outside world. Beyond that, tourism can have unintended consequences in their ways of life. The government should take concrete steps to regulate tourism. For areas with fragile ecosystems like Mt. Pulag and Calaguas, carrying capacity should be determined and applied accordingly, limiting the number of visitors at any given time. Tourist magnets like Sagada and Boracay can be regulated by limiting the number of hotels being built and bus and plane routes being licensed. Finally, promoting alternatives can spread the impact of tourism, even as these alternatives must also be regulated from the very start to avoid the fate of their more popular counterparts. As for people planning to travel this summer, you can help reduce the impact of tourism by being responsible travelers and visiting lesser-known - but no less fascinating - places. This is also for your own good: You can’t complain about the crowd if you’re part of it.